PennsylvAsia: Kizumonogatari Part 3 (傷物語III 冷血篇) at Hollywood Theater on April 15, 16, and 18; parts 1 and 2 on April 15 and 16. 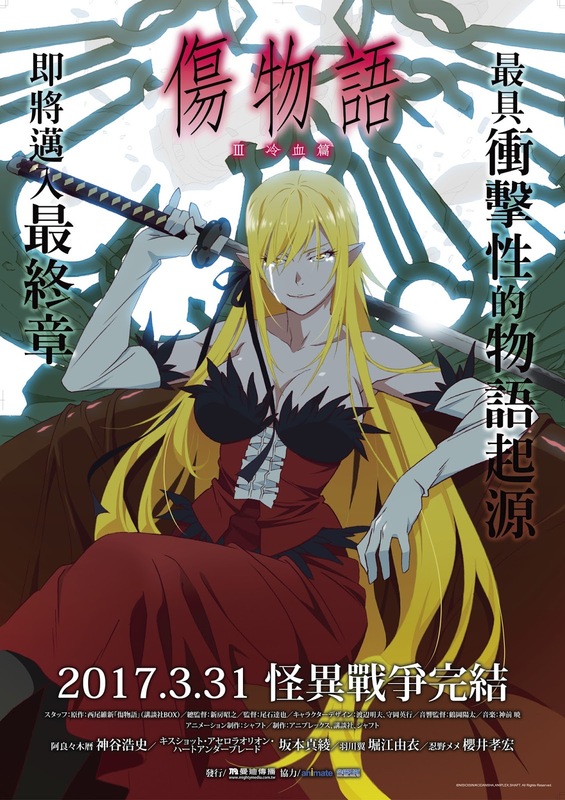 Kizumonogatari Part 3 (傷物語III 冷血篇) at Hollywood Theater on April 15, 16, and 18; parts 1 and 2 on April 15 and 16. Parts 1, 2, and 3, respectively. 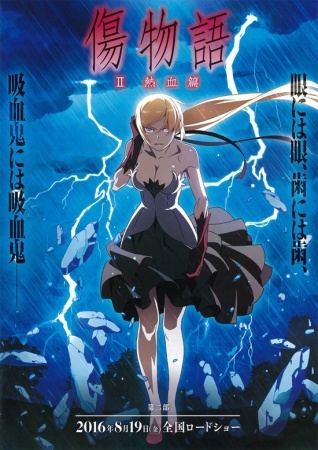 The Hollywood Theater in Dormont will be the only theater in Pennsylvania to show Kizumonogatari Part 3: Reiketsu (傷物語III 冷血篇 ) when it makes its US premiere in April. 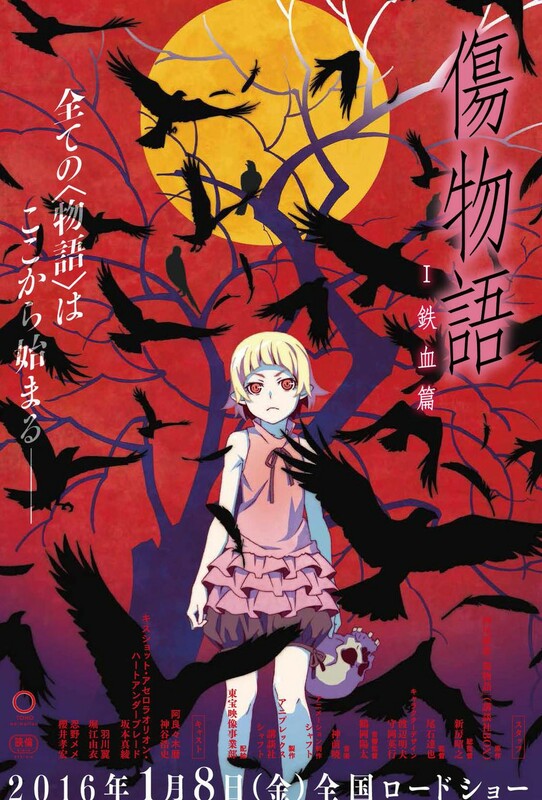 The theater will also show Kizumonogatari Part 1: Tekketsu (傷物語Ⅰ 鉄血篇) and Kizumonogatari Part 2: Nekketsu (傷物語II 熱血篇) on the 15th and 16th, both of which played at the Hollywood last year. 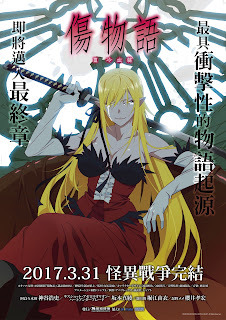 Tickets for the three Kizumonogatari Part 3: Reiketsu shows on April 15, 16, and 18 are available at the theater's website. 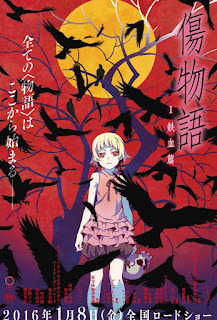 Tickets for the two $15 double features of parts 1 and 2 are available there as well. The theater is located at 1449 Potomac Ave. in Dormont (map), and is accessible by Pittsburgh's subway/LRT at a block south of Potomac Station.